The debate is settled; the future Lucy-Faris Library won’t be going to Paul-Pelletier park beside the pool. 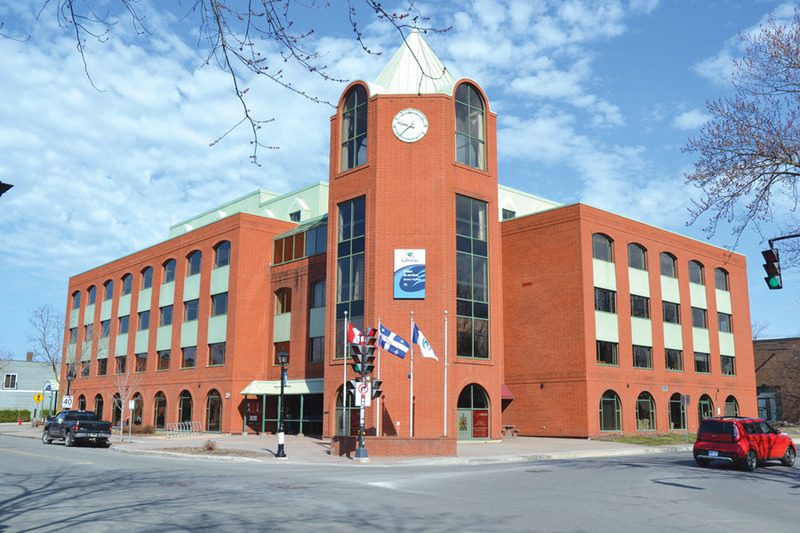 City council members voted unanimously in favour of tearing down Place des Pionnniers in order to rebuild a brand new library at the present location, 115 Principale Street. The projected costs for the construction are also now known. Preliminary costs were submitted to councillors during the June 28 session of the Standing Committee. The purpose of the public meeting was to reveal costed options for each location of the library. The City is promising a 21st century library: innovative and attractive. “The population in West Gatineau is constantly on the rise. Consequently, the Aylmer library is of great importance,” commented Mayor Pedneaud-Jobin. There are two scenarios proposed for the project. The City could build a two-storey library or build a four-storey building that would include the library. The reconstruction of Place des Pionniers is estimated to require five and half years. The building of a two-storey building is projected to cost $29.8 million; for a four-storey building, $44.5 million. Supplementary costs for relocating (moving costs, setting up and relocation of computer servers) will be added to those estimtes. Around 30 years after its construction, problems have arisen and been noticed in the present structure. In 1999, an inspection led by Boucher Sauvé et Associés revealed that the “progressive displacement of floors” did not meet the 1995 National Building Code. Place des Pionniers has been in questionable condition for some time, on several counts. For example, certain areas of the building are not able to accommodate additional office furniture or any added weight, showing the building’s age. Presently, there is a 26% vacancy rate in the edifice, which is well above that of other office buildings in Gatineau, again indicating a need for replacement. Place des Pionniers, in which is located the Lucy-Faris library, was built in 1987. It served as the city of Aylmer’s town hall for years. Today, 103 employees work in this six-storey building. In January of 2019, city administrators will present the elected officials with different scenarios for the relocation of activities that now take place in the building, along with possible multi-purpose business models for the eventual new building.